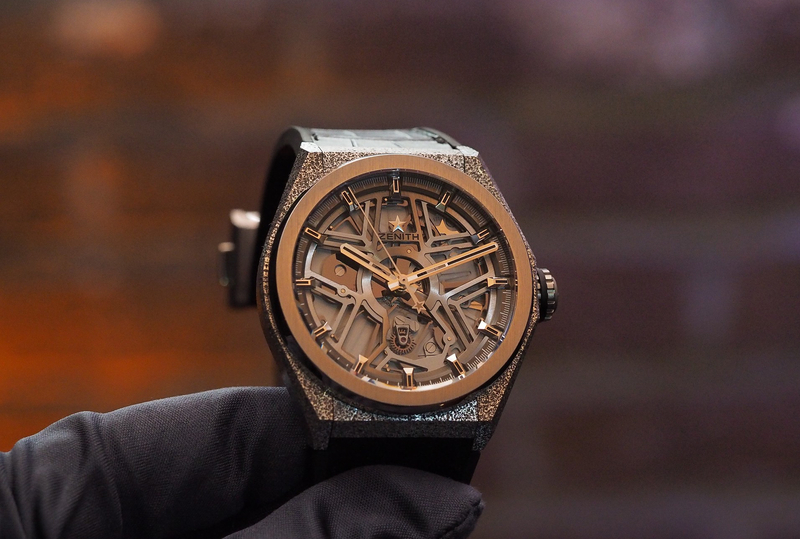 In September of 2017, Zenith debuted one of the most interesting pieces of horology that year: the Defy Lab. The watch features an ultra-high frequency movement that beats at 15Hz (or 108,000 vph), achieved by way of a totally new design that utilizes a one-piece oscillator made of monocrystalline silicon that replaces the traditional “sprung balance.” Oscillation back and forth, otherwise known as amplitude is just +/- 6 degrees out of 360 degrees. By comparison, a typical sprung balance oscillates ideally 270+ degrees. This high frequency, low amplitude movement is said to be 10 times more accurate (.3 second per day) than a standard chronometer which is -4/+6 seconds per day. The new oscillator maintains the same degree of precision for 95% of the power reserve, which is incredible. Perhaps best of all, the Defy Lab movement has very few parts compared to a traditional mechanical watch movement and needs no lubrication. The goal with the Lab is to be more accurate and need less maintenance, plus it’s also insensitive to temperature gradients, gravity, and magnetic fields which of course helps timekeeping accuracy in comparison to a traditional balance system which can be adversely affected by all of these factors. 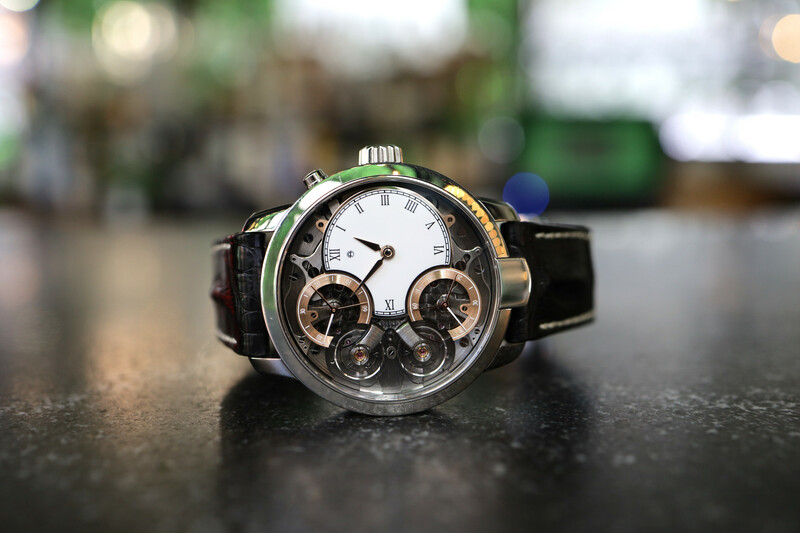 At launch in 2017, there were 10 limited edition sets sold, and we got some hands-on time in December 2017 with one of the prototypes (pictured), off the wrist of the CEO, Julien Tornare. 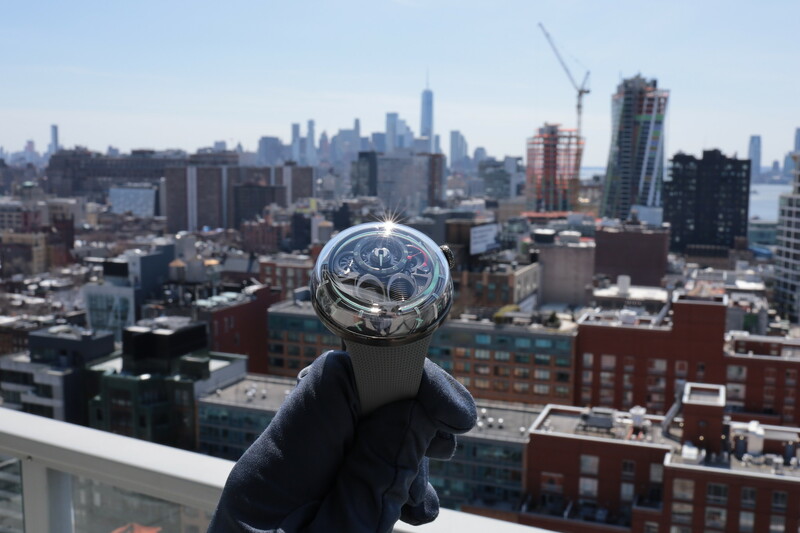 From that point, the company expected to commercially launch the watch at Baselworld 2018 (as we wrote in our initial coverage), although it never happened. 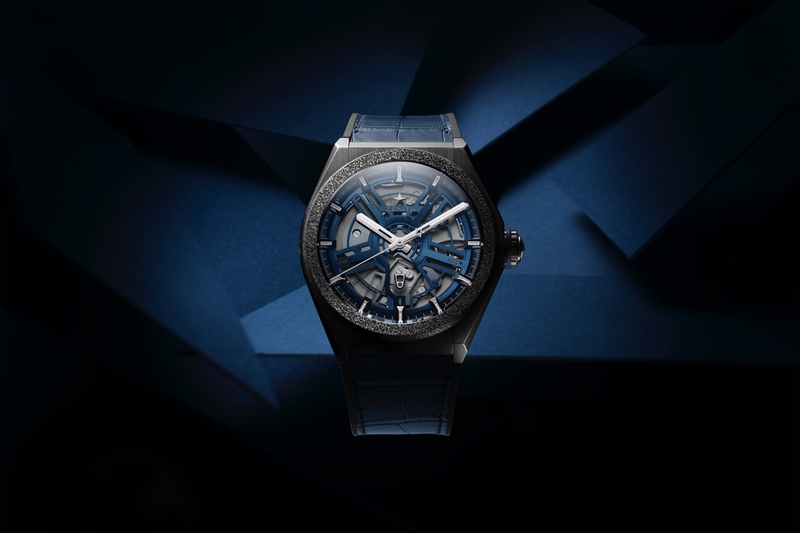 Fast forward to 2019, and we’ve spoken with a company representative who unofficially confirmed the Defy Lab is set to debut at Baselworld 2019, in March. Remember the Defy Lab which runs at an incredible rate of 15Hz or 108,000 vph? Here’s a short video clip we shot of it. Plus we have some new info you can read on the website.